In the late 1990’s, guitarist and producer Eddie Roberts was running a club night in Leeds called The Cooker. When The Cooker moved into a new venue with a second floor in 1999, there was space and the opportunity to put a live band together to complement the DJ sets. Simon Allen and Eddie had played together in 1997 as The Mastersounds, though with a different bassist and no organ. Through friends and the intimate nature of the Leeds music scene, Pete Shand and Bob Birch were added on bass and Hammond respectively, and The New Mastersounds were born. Though it was raw, and more of a boogaloo sound at first, it was powerful from the start. Their first rehearsal was hot enough for Blow it Hard Records to release on two limited-edition 7” singles in 2000. Joe Tatton, another veteran of the Leeds scene, joined back in 2007, replacing Bob Birch on organ and piano. Fast-forward nearly 20 years from their first 7″ and their catalogue boasts 11 studio albums & 5 live albums and their music is in demand for TV, film & advertising and they continue to tour extensively worldwide with demand so high in the US that they tour almost on rotation to satisfy their fans love and insatiable appetite for their unique brand of British funk. 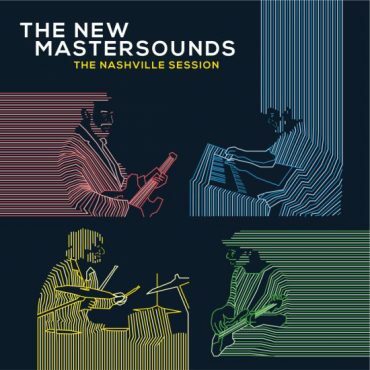 The New Mastersounds’ LP, The Nashville Session, takes that devotion one step further by recording in the same tradition that many of those rare groove gems were made. The 10-track collection, cut at Welcome To 1979 studio in Nashville, was multi-tracked live onto one-inch tape in a single evening session in front of a small studio audience. Following the performance the recording was mixed down to quarter-inch stereo and then cut direct to vinyl lacquers. There are no guests and no overdubs, just bass, drums, guitar and organ—essentially pure New Mastersounds. Hitting the studio at the tail end of their Fall and Winter 2015 cross-country U.S. tour, the band was razor sharp and vice tight. They selected material to record from across their 16-plus year career and ten studio albums. The results from top to bottom are gritty, greasy and funky to the bone. The Nashville Session presents The New Mastersounds at their finest, utterly unadulterated by modern digital technology, full-on analog and unapologetically doing it old-school. Leeds finest – The New Mastersounds return with their tenth studio album Made For Pleasure, their most sprawling and ambitious record to date. The band’s core four-guitarist Eddie Roberts, drummer Simon Allen, bassist Pete Shand and organist Joe Tatton-are joined by guests including super fabulous soul chanteuse Charly Lowry, revered percussionist/vibraphonist Mike Dillon and the North Cali-based West Coast Horns, featuring tenor saxophonist Joe Cohen and trumpeter Mike Olmos. Recorded in New Orleans, The New Mastersounds high-step through the humidity and heat leaving no soul or funk touchstone unturned. Both the title track and High & Wide are drenched in The-Meters-meet-Lee-Dorsey Big Easy funk, while tracks like Enough Is Enough, Joy and Just Gotta Run are firmly rooted in classic soul sister rhythm & blues tradition; think Tina Turner, Ann Peebles, Bettye LaVette. Super-charged by Eddie Roberts’ stinging guitar leads, Cigar Time and Sitting On My Knees take a decidedly soul-jazz turn, diving headlong into Grant Green grit and groove. Capping off Made For Pleasure and further validating its title is a dubbed out reinvention of Iggy Azalea’s smash hit Fancy that cleverly turns the pop artist’s ode to materialism into a 21st century stoner anthem with the repurposed refrain, I’m so irie. 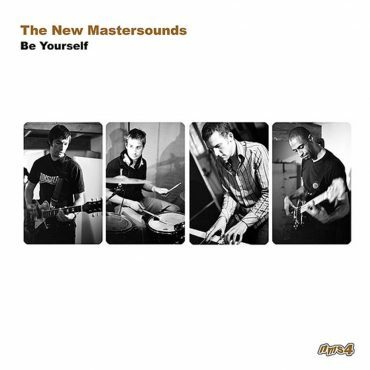 The New Mastersounds know what feels good and deliver it in spades on their latest long player, and rightfully so, as it was after-all…Made For Pleasure. *Fancy – master license clearance only. The NINTH studio album, recorded at Scanhope Sound – a beautiful studio near to Red Rocks, Colorado, in September 2013. 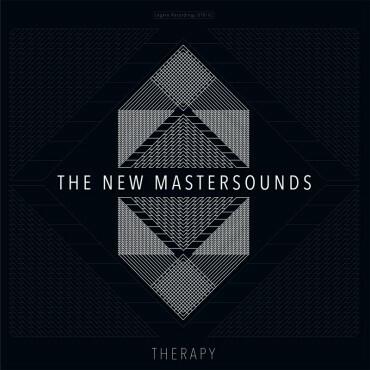 Therapy features guest performances from vocalist Kim Dawson (The Motet) and sax player Ryan Zoidis (Lettuce). There’s quite the sonic spectrum on there: (spoiler alert!) 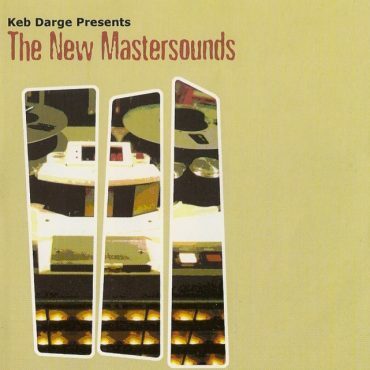 Keb Dargey deep funk (Old Man Noises), Ramsey Lewis-esque souljazz (Morning Fly), old-school soul-pop (I Want You to Stay), classic Meters-y NMS (Monday Meters), some St Germaine-ish jazz house (When it Rains…), funky British silliness (Whistle Song, Slow Down), JB groove (Soul Sista), Doorsy mellow jazz (Detox) and a protest tune (WWIII). Produced, as all previous NMS titles, by their guitarist Eddie Roberts. Whistle Song turned out to be just what Online legal services marketplace, Avvo were looking for for their 2016 TV & online ad campaign. The funky foursome return with their eighth studio album, recorded in San Francisco (hence the seismic title) and featuring guest performances by Papa Mali and Jazz Mafia Horns. The album opens with a classic slice of organ funk (think The Meters, but edgier), quickly followed up with other seriously catchy syncopated gems full of solos, inventive arrangements and gang vocals. There’s a nod in the direction of jazz-house (à la Saint Germaine), a rolling-piano-&-spoken-word homage to New Orleans (where the band has performed every year since 2006), then a massive horn track before the tone of the album gradually shifts to close out with a psychedelic Hammond-rock sound reminiscent of Brian Auger. Eddie Roberts’ vintage production delivers warm soulful bass, choppy drums, funky organ & piano, and Eddie’s signature roughneck jazz guitar throughout. 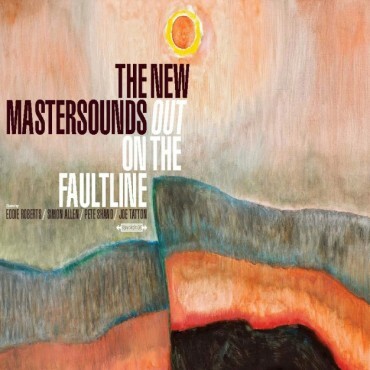 Out on the Faultline is another corker of an album from the stalwarts of the global funk and soul-jazz movement. Rather than take a well-deserved break after a US festival tour, the funk quartet flew to Tornillo, Texas’ Sonic Ranch, a residential neighbourhood studio located near the border between the States and Mexico. Their seventh studio album Breaks From The Border marked a new era in the band’s sonic landscape by topping their unique syncopated grooves with group vocals making the album sound even more like something straight out of New Orleans. Cut in just over a week, the album reflects the bubbling, energetically infectious sounds of The New Mastersounds at their best, while adding depth and dimension to some beautifully breezy, elastic, harmonically savvy vocals that never manage to get in the way of the quartet’s knotty, rave-up funky grooves. All four members harmonize on opener Take What You Need, which merely highlights their backbeat-driven Meters-influenced funk with an into-the-red bassline groove led by Pete Shand. The finger-popping dialogue between the bassline and Eddie Roberts’ jazz guitar wrangling on Freckles accounts for one of the finest moments on the disc and Can You Get It? sounds like an update of the Meters’ bubble and broil. The album-closing jazzer Up in the Air was co-written by Eddie’s daughter, Minnie and it’s a spacy psychedelic soul groove. This set adds another level of from-the-basement groove to the quartet’s already formidable attack. 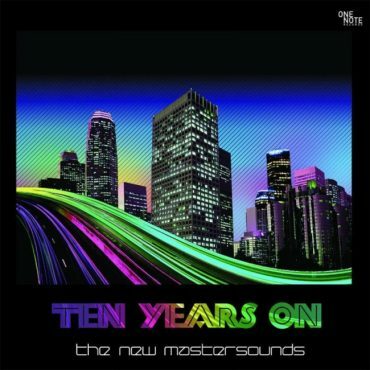 The New Mastersounds formed in 1999 and started making records shortly after that. Ten Years On in 2009 the band managed to make their sixth studio album, in the midst of their busiest touring schedule to date. As with previous records, Ten Years On presents an impressive range of grooves and styles, all sheltering from the grey English drizzle under a big jazz-funk umbrella. There’s the familiar vintage-sounding production, courtesy of guitarist and bandleader Eddie Roberts. The core of the band is the same as on 2008’s Plug & Play, with Simon Allen on drums, Pete Shand on Fender P-bass, and Joe Tatton on organ, piano and various other vintage keyboards. The album has guests aplenty, some of them sending in their performances by email from distant shores. JD73 plays Rhodes on Dusty Groove, lending it a distinctly Headhuntersish sound. Seattle-based sax experimentalist Skerik adds dark, lush textures to the eight-minute soundtrack opus OOOM. Fellow Leeds luminary Sam Bell brings the percussion to Eddie’s Benson-eque disco-jazz on Cielo while Madrid-based Chip Wickham toots a mean flute on Chocolate Chip. 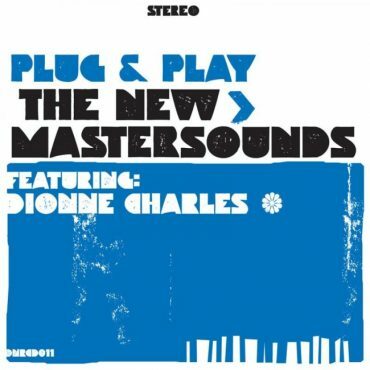 UK funk maestros The New Mastersounds returned from a year of intensive touring in the USA to deliver their fifth studio album, Plug & Play, featuring vocalist Dionne Charles. What you get: trademark infectious grooves, warm vintage production by guitarist Eddie Roberts, and successful forays into sub-genres like psychedelic afro-funk, CTI-era jazz-funk, soul-jazz and classic soul. Though the NMS wear their musical roots on their sleeve, each track sounds unmistakably like The New Mastersounds and in Dionne Charles they had found a vocalist who could do justice to the phenomenal soulfulness of the music. 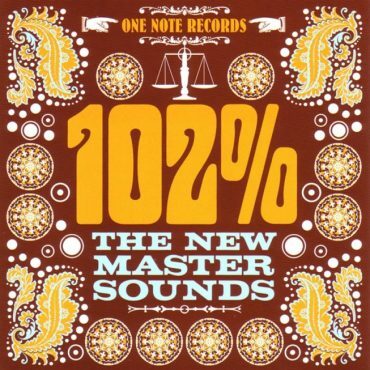 102% is the fifth album from international funk heroes The New Mastersounds. Having rightfully gained a reputation for out-Metering The Meters, their latest effort, 102% is another retro-fuelled funkathon that sees the band expanding its range into previously unexplored territory. 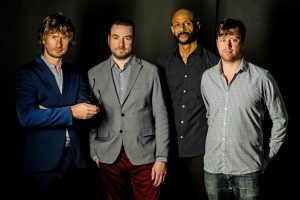 Featuring special guest sax & flute player, Rob Lavers, the album delivers the band’s trademark dirty funk sound in spades, along with sprinklings of soul-jazz, breaks and beats, laid-back hip-hop, and even psychedelic blues-rock. No vocals, just the guys tearing it up and doing what they do best, under the supervision of prolific hawk-eared guitarist-producer Eddie Roberts. Most of the tracks on 102% are upbeat cuts with very danceable grooves. Even the more experimental songs still have a familiar and addictive beat, and it’s on these numbers that they set themselves apart from other bands. While many would be content to crank out discs full of mere retro funk, The New Mastersounds are not interested in re-creating the past; rather they are taking vintage sounds and attitudes and merging them with modern ideas. The result is an addictive blend that has one foot in the past, one foot in the present, and both eyes on the future. 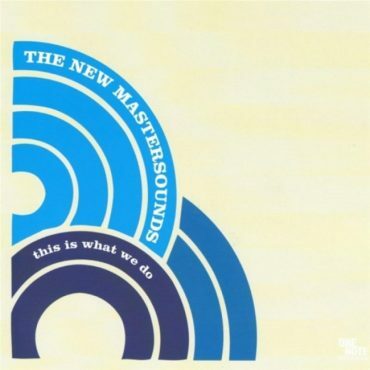 This is the third album from premier UK funk band The New Mastersounds. After the experimentation and jazzier flavours of its predecessor Be Yourself, this album marks a return to roots, with the band doing what they do best – kicking the funk! The album boasts a mix of fine original compositions and percussionist Sam Bell has been brought in on The Tin Drum and Pure, spicing up the flavour with that 1960s Willi Bobo latin-boogaloo groove. This is What We Do was an absolute sure-fire hit with all their fans past and present – an impressive list that includes Keb Darge, Kenny Dope, Mr Scruff, Gilles Peterson, Norman Jay, DJ Shadow, Snowboy, Quantic, Richard Searling and many more groove-lovers across the globe. Needless to say, the album is a full on funk monster, with the Hammond taking a greater role in the proceedings. NO VOCALS, just awesome instrumentals. Without the horns which (excellently) dominated the first album, the core quartet – bass, drums, guitar, organ/piano has a chance to shine and still leave space in the music. Gone is the full-throttle, all-guns-blazing, heavy attack of previous recordings, replaced by a more mature and soulful sound. And yet there are some FAT & GREASY grooves here to delight the breaks, beats and funk fans. It’s the two vocal tracks on the album that show just how far the band have developed in the last few years; Your Love Is Mine is a classic soul ballad (think Al Green) delivered by Leeds sensation – soon to be a worldwide star – Corinne Bailey Rae and LSK drops the blue-eyed soul hip-hop of Idle Time. Drenched with the blues, this original has all the flavour of a Mose Allison classic, but updated to the 21st century! Yes, The New Mastersounds are back in style! 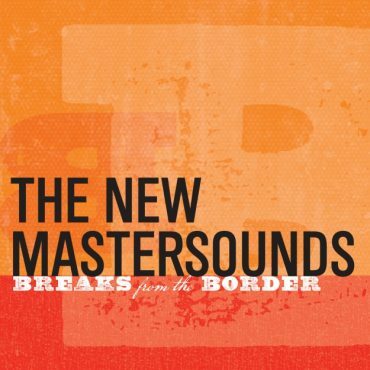 After many years of spearheading the UK’s live funk scene and packing out the best clubs everywhere from London to Mexico City, The New Mastersounds captured the pure energy and excitement of their live show onto this, their debut album release in 2001. Dropped by the likes of DJ Shadow, Pete Rock, Cut Chemist, Kenny Dope, Spinna, Keb Darge, Gilles Peterson, Snowboy, Adrian Gibson, and crossing over into the dance scene with their Masters At Work-inspired track Nervous, the interest generated on release of this album was huge. Packed with hard-hitting brilliance and featuring the UK’s most dynamic brass section The Haggis Horns and the powerhouse vocals of Leeds legend, Cleve Freckleton (aka The Rev Chunky) and a dynamic debut performance from the soulful and funky, Sulene Fleming. Originally released on Keb Darge’s classic Deep Funk label in 2001, it quickly sold out to funk aficionados everywhere.